This model allows you to travel to see new places with the comfort of your own full bath, your own bedding at night, and a kitchen to make meals. 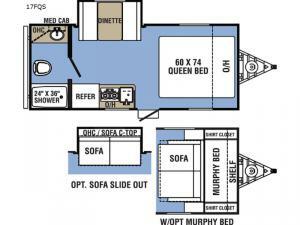 Imagine a dinette slide out offering more floor space to move about, plus a place to work on a puzzle or read a book. 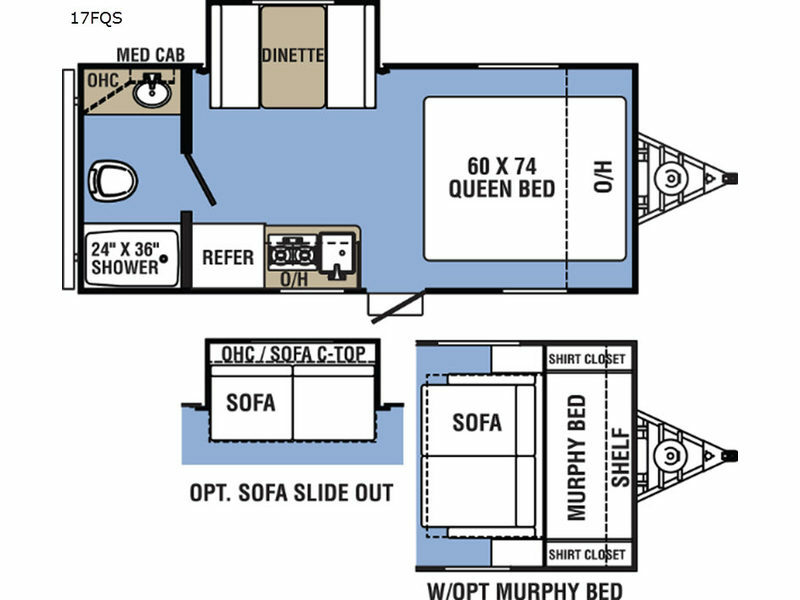 You even have the option of adding a Murphy bed/sofa in place of the queen bed, and a sofa slide out in place of the dinette. It's time to see why this trailer is perfect for your traveling needs and wants!